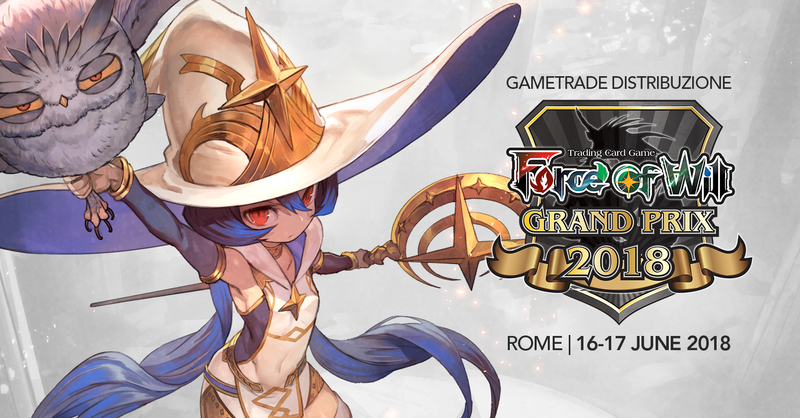 Saturday 16th June 8:00 a.m. - 10:30 a.m.; Player Briefing and Tournament Start: 10:30 a.m.
- Standard Registration: 30,00 euro (It features a Participation Promo Foil Extended Art Little Red, Fairy Tale of Air, a Participation Promo Foil Extended Art Dragon Ore, a Participation Promo Foil Extended Art Ore From the Treasure Mountain, a Force of Will booster pack). - Premium Silver Registration: 50,00 euro (It features a Participation Promo Foil Extended Art Little Red, Fairy Tale of Air, a Participation Promo Foil Extended Art Dragon Ore, a Participation Promo Foil Extended Art Ore From the Treasure Mountain, a Participation Promo Foil Extended Art The Final Battle, a Participation Promo Foil Extended Art Scarlet's Vision, a Participation Promo Foil Extended Art Rachel, the Ancient Library Researcher, a Force of Will booster pack). 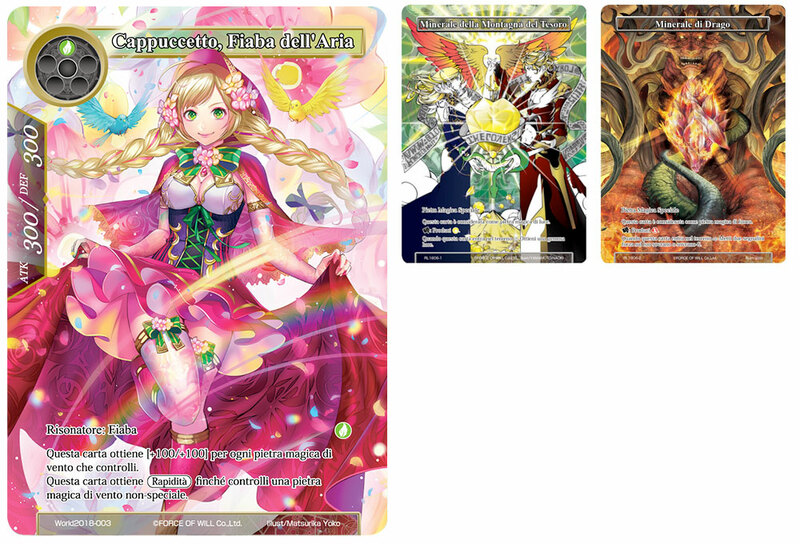 - Premium Gold Registration: 70,00 euro (It features two copies of a Participation Promo Foil Extended Art Little Red, Fairy Tale of Air, two copies of a Participation Promo Foil Extended Art Dragon Ore, two copies of a Participation Promo Foil Extended Art Ore From the Treasure Mountain, two copies of a Participation Promo Foil Extended Art The Final Battle, two copies of a Participation Promo Foil Extended Art Scarlet's Vision, two copies of a Participation Promo Foil Extended Art Rachel, the Ancient Library Researcher, a Participation Promo Foil Extended Art Cheshire Cat, the Grinning Remnant vers. 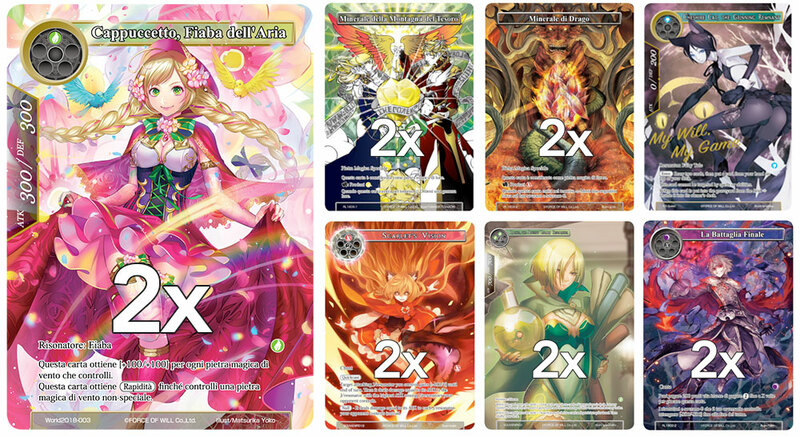 My Will My Game, a Force of Will booster pack). 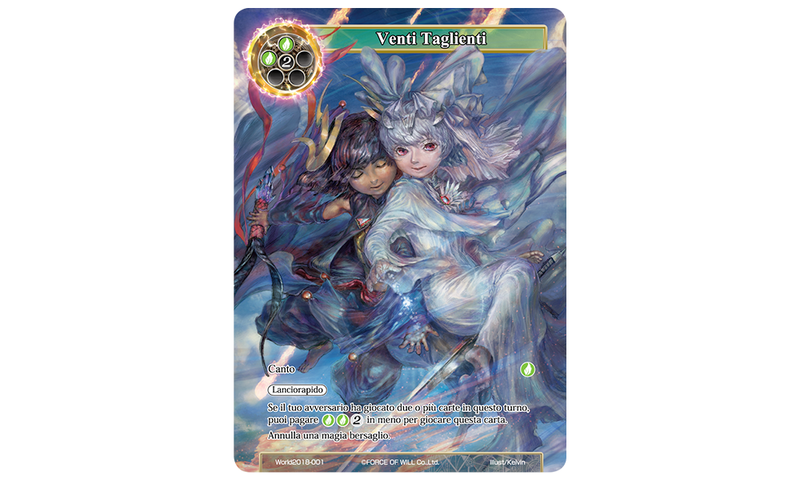 TOP 64: TOP 64 players receive a Promo Foil Extended Art/Alternate Art Severing Winds. 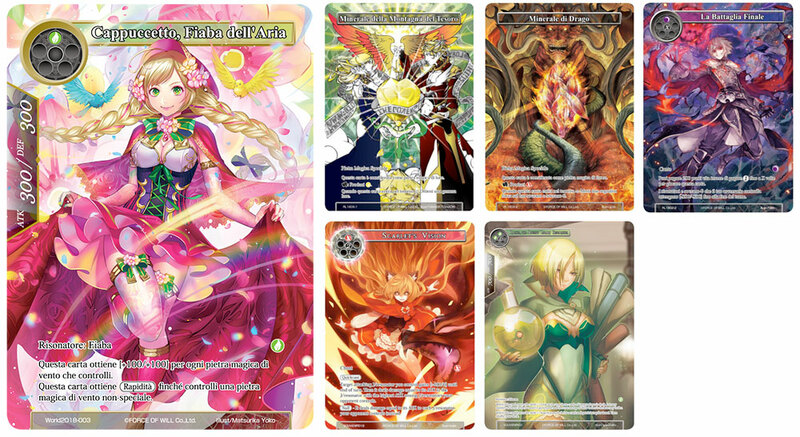 TOP 8: TOP8 players will receive each one a Special Golden Super-Esclusive Card Gill. 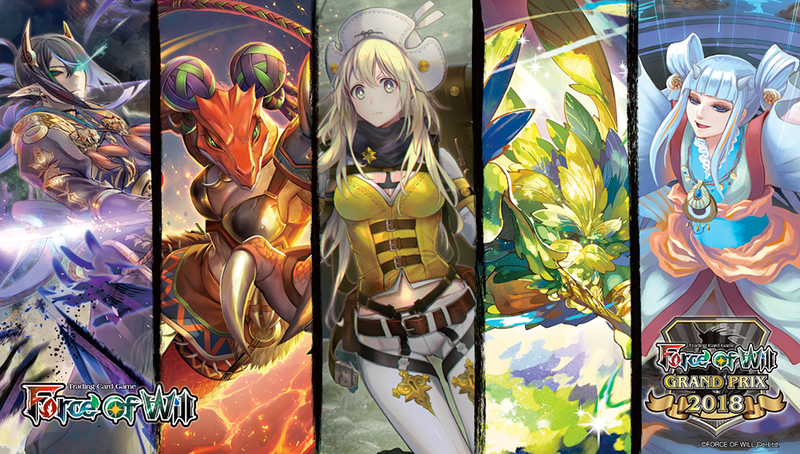 The top 3 players will also receive a Special Metal Super-Esclusive Card Gill. 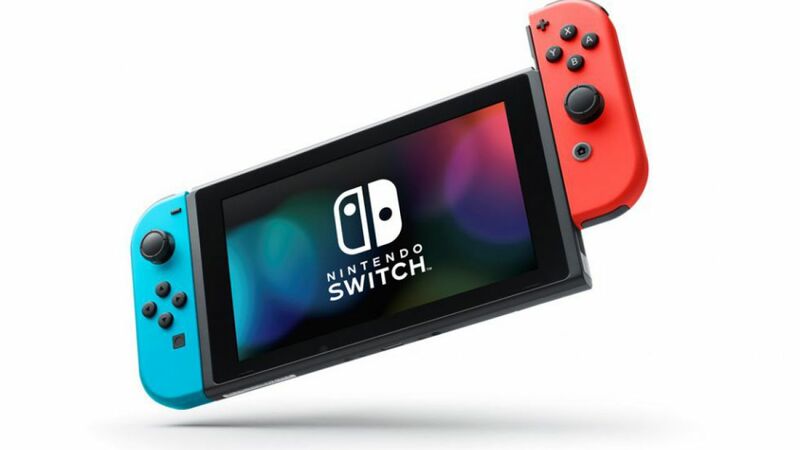 *Special Top Player Day 1 Prize: with a number of 120 or more participants, the top player on the general standings at the end of Day 1 Swiss Rounds will get a Nintendo Switch as special prize! 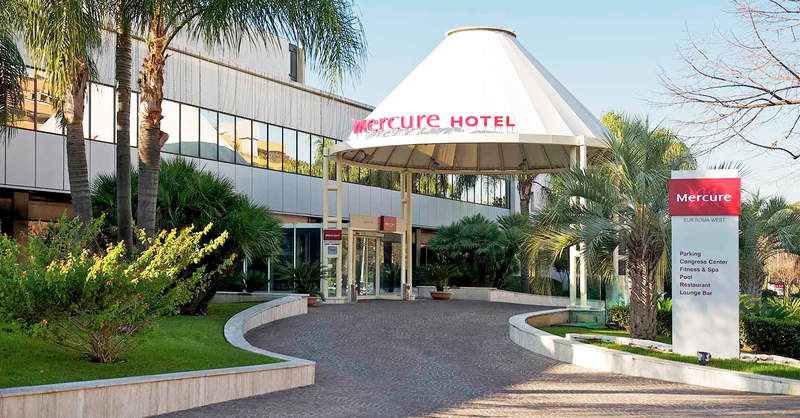 We recommend to contact Mercure Roma West by phone to +39 06 50834716 to use the above promotion. We recommend to contact Il Quadrifoglio by phone to +39 06 5087900 or by email to info@hotelilquadrifoglio.net to use the above promotion.